I credit incarceration with sending my life in a whole new positive direction. I tell my story to schools across the UK and Europe to educate young people about the consequences of choosing the drugs lifestyle, in the hope they don’t make the same mistakes I did. The endless feedback I get from students makes me feel that the talks are a better way of repaying my debt to society than the sentence I served. When I’m not talking at schools, I’m usually on my computer writing my life story as a trilogy, which has turned into a 15-year project. My first book, Hard Time, was published in 2010, and covers the time I spent as an unsentenced inmate in the jail system with the highest rate of death in America run by Sheriff Joe Arpaio. The prequel to Hard Time, Party Time was recently published by Mainstream, a division of Random House. Many of the scenes in “Raving Arizona” are based on Party Time and Hard Time. 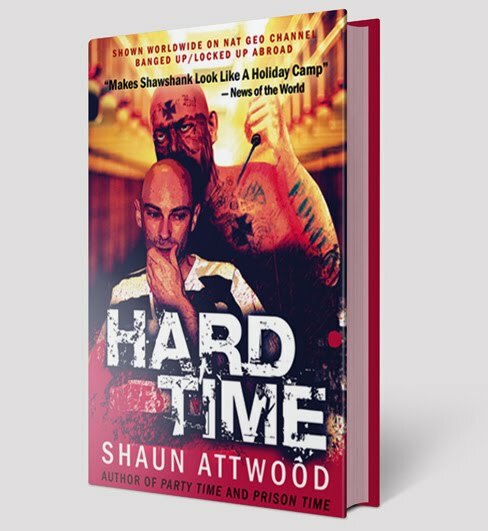 I’m polishing up the third and final instalment from the English Shaun Trilogy, Prison Time, about the time I served in the Arizona Department of Corrections once I was sentenced. I hope to have it published next year. In prison, I formed friendships with people serving long sentences, some of whom are never getting released. My brief taste of their suffering instilled me with a long-lasting desire to do what I can for them, including keeping their voices being heard on the Internet at Jon’s Jail Journal. 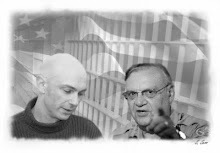 It’s my hope that the episode of Locked-Up Abroad and my book, Hard Time, raise awareness of the conditions in Sheriff Joe Arpaio’s jail system. I’d like to see Arpaio get voted out of office, and a new sheriff put an end to murder, mayhem and human rights violations. I also hope that by posting to the Internet what I'm doing in the schools and how I'm developing as an author, prisoners will be inspired to achieve positive goals. I have a lot of friends in prison who are rooting for me to succeed, and looking at me as a role model. Finally, I’d like to thank the staff at Raw TV and National Geographic for enabling me to realise my dream of exposing Arpaio’s jail conditions to the world. All the best to you and your future work. Serious big up to you matey!! Thanks so much for taking the time to let me know exactly how you felt reading Hard Time, JB.